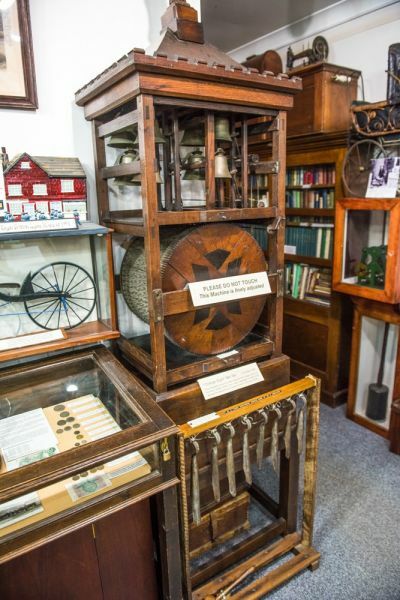 Located within Henfield Hall, our museum boasts a wonderful collection of items celebrating the history of the village. Glimpse the past through the beautiful paintings and photographs of Henfield through the ages, including the oldest painting of the village from 1836 depicting the stocks and whipping post on the High Street. See a model of Henfield’s long-gone railway station from 1861 or marvel at the penny farthing bicycle manufactured in the village in 1887. From the scarlet uniforms of the Royal Sussex Rifle Volunteer Regiment to the toys of local children, there’s so much to discover. Whether you’re a history buff or working on a school project, see the past come to life at our museum. Temporary exhibitions run three to four times a year. Admission is free and group visits can be arranged in advance.